This is about FreeBSD 11.1 on my knew server. I recently replaced the 3TB drives with 5TB drives. Along the way, it didn’t boot, the swap was adjusted, I got concerned about power, and there was a brief CAM status: SCSI Status Error scare. Then today, the planned reboot, I started asking questions on Reddit and on Twitter. BIOS cannot boot from drives which present only 4096-byte sectors. This is a BIOS limitation. It is not your OS or your hardware. UEFI does not have this issue. This drive, which is similar to most of my 5TB drive, physically has 4096 byte sectors, yet it also presents sectors as 512 bytes. 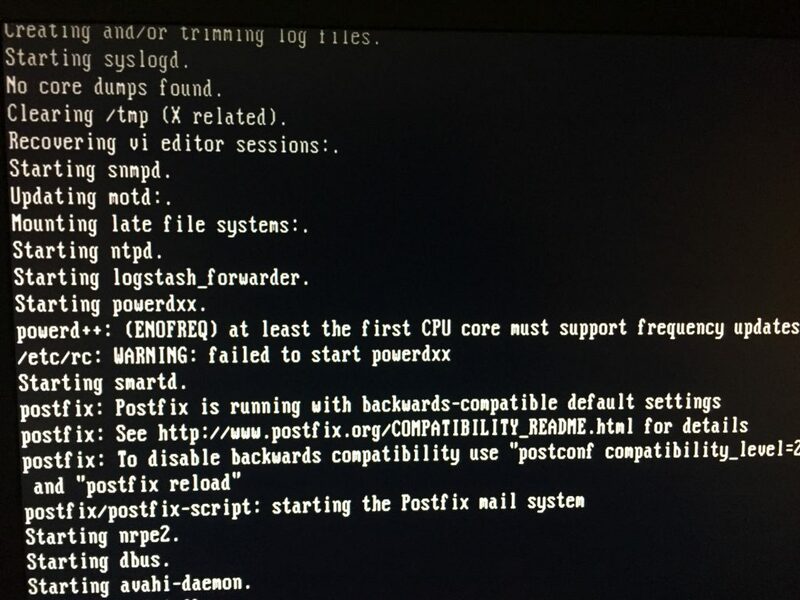 This drive can be booted via BIOS. This drive is 4096 byte sectors only. 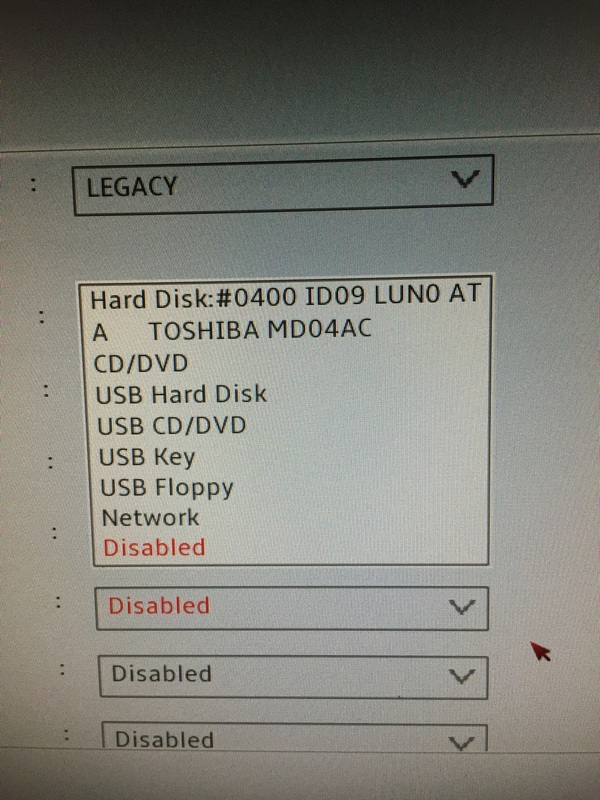 Such drives cannot be booted via BIOS. I welcome stories to the contrary. Fortunately, I learned this the hard way. x8dtu is the new FreshPorts server, still in build-out. On that server, booting will be done from the two SSD drives. I have a boring video for you, but I also can let you skip through to the end. The solution, as correctly predicted by Marie Helene, BIOS was set to boot from the wrong drive. 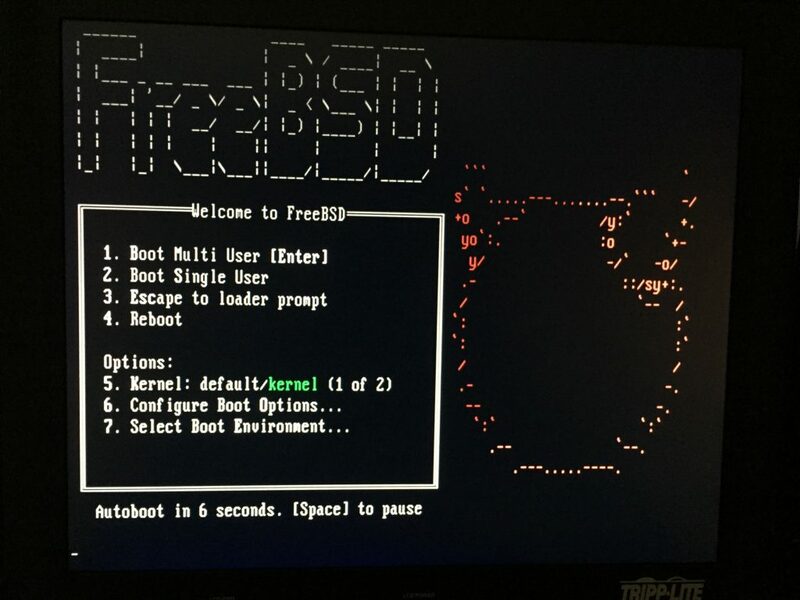 Once I selected the correct boot drive in the BIOS, it booted. Here is the splash screen of the first boot off the new 5TB drives. I installed that package months ago. I never noticed it wasn’t working. Shame on me.